The Red King Crab is a luxurious, unique delight. The Fancy Crab chefs have created a variety of dishes for you to enjoy, including burgers, salads, and many other main courses. Our menu is a treasure for every fresh seafood connoisseur. The Red King Crab is not the only thing we serve; you can also treat yourself to oysters, octopus, fish or shellfish. All with imaginative and tasty sides, designed to compliment each dish in its own way. We put all our imagination, passion and enthusiasm into the restaurant. 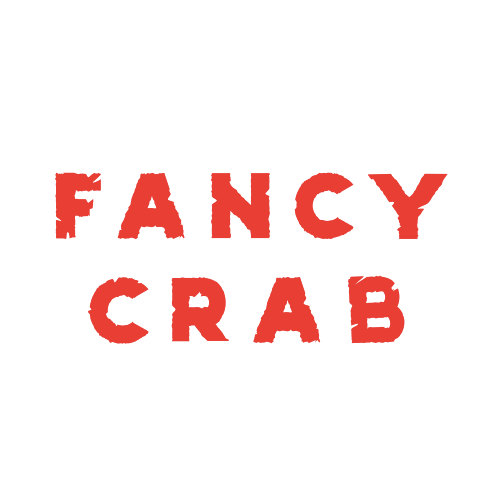 At Fancy Crab, we have created a place where you can enjoy food, service and comfort alike. In 2018, Fancy Crab was awarded the 'Best Designed Casual Dining Restaurant', this was a national award and something that the team are very proud of. So you can be sure that not just the food, but also the setting are award winning quality. For just three months of each year, from September through December, the Arctic Ocean's coldest, deepest, and most formidable waters offer up a rare prize. And for three days we sail, deep into the harshest swells kicked up by the desolate Far North, to seek it. This is the unforgiving lair of the Red King Crab – the world's biggest and most famous crab – and it is the gauntlet tackled by Fancy Crab to bring you the unbridled joy of one of our planet's most sublime seafood dishes. We preserve every ounce of the Red King Crab's taste and hale using our unique technology so that, from the depths of that perilous ocean to those of your satisfied belly, the fullness of its delicacy is kept. Come now, come all – experience Red King Crab like never before, as the chefs of Fancy Crab reveal to you incredible new levels of seafood perfection. Our Red King Crab is wild and never farmed. It's caught at sea by crews of crab catchers, who only harvest the adult males to maintain the stocks of these magnificent creatures. While still at sea, the caught crab are immediately cooked in sea water and frozen. This quick process preserves the delicate flavour of the meat, as well as making sure the crab don't get stressed. We serve our luxurious Red King Crab in two ways: simply on ice with dipping sauces and pickles, or baked over charcoal with butter and thyme, again served with delicious dipping sauces.